The recent outbreak of a new strain of Measles at Disneyland in California, highlights societies need to be vigilant in counteracting spreadable diseases. Measles were supposedly wiped out by vaccines in the early 1970's but this new strain appears to be a mutated version of the all too common childhood disease. With the regular news reports about viscious diseases and virus' popping up all over the world and in significantly increasing numbers, it has become a vital and important factor when considering protecting people in public buildings, dwellings even at home. Diseases spread easily among children especially, due to their immune systems not having achieved sufficient maturity to ward off some spreadable virus'. Meroni have been at the forefront of Anti-bacterial handles for many years and their unique handle products like the Combina and Pigio offerings, provide care facilities, schools, hospitals and laboratories, all across the world with handles that minimize and mitigate the spread of shareable diseases. Competitively priced and available to order, the extra special coating on the hardware is tested to European standards that are often considered significantly higher than the standards issued in the USA. This is a picture of the Combina Anti-Bacterial Handle. In this picture you can see a version of the Pigio Anti-Bacterial handle as used in a laboratory. Pigio is the first European lock to have been awarded CE EN179 certification, being acceptable and compliant with the International Building Code requirements for simple emergency egress. 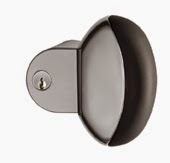 This allows for a simple to operate, good looking handle that can be used on just about any door that offers ease of use by physically challenged and mitigates the spread of contagious diseases simultaneously. 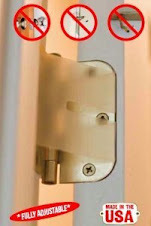 Any of the unique range of Meroni hardware, make operation by arthritis sufferers much simpler than conventional handle hardware. Many arthritis sufferers are challenged to clench their fist, which makes operating the simple door handle a task indeed. Not anymore, thanks to the fabulous Meroni range of handlesets. We are the North American Distributors of all Meroni hardware, including handlesets, cabinet and furniture lock systems, hinges and accessories and door closers. To become a reseller of the product, contact us to arrange pricing. 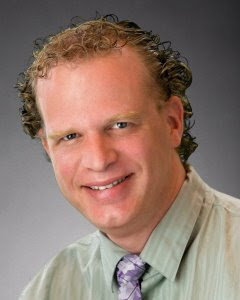 When it comes to all-around devices, Gokey is unique. It lives on your keyring, doubles as a portable charger with up to 2 hours of charge time, becomes a locating beacon for your mobile device or your keys, operates as a music remote control, a remote shutter for your all important selfies and a storage device for up to 32Gb of memory. The memory can be password protected and fits to any USB port. The USB connections allow you to both charge and deliver to your computer or simply charge from a power connected USB port. Being a keyring related device is why it makes it to this web log. Personally, I am especially interested in the GPS tagging it can create. Originally a crowd funded product and almost available for commercial release, this is another example of the current technological age we find ourselves in and more disruptive technology aimed at making modern life just a little bit easier. The Garage Door Beacon is a novel product that effectively brings your automatic garage door into the 21st century. Using Bluetooth as it's communication protocol, the Garage Door Beacon has successfully integrated this modern disruptive technology into the everyday use for all the family. Many homeowners across America enjoy automatic garage door openers for ease in entering premises or simply garaging your vehicles. 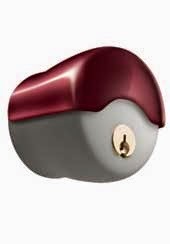 Using a small product like the Garage Door Beacon, enables a simple connection to your existing automatic door opener and can be set using the Bluetooth technology to authorise individual operators via individual PIN codes. Now, it is quite well known that garage doors are not the most secure points of entry to any dwelling, however the incidence of failing remotes, non-functional external keypads and other operability problems continue to be a source of business for repairers and is likely to not stop anytime soon. But with the multitude of products becoming available in increased numbers today, thanks to the current technology age we are in, consumers need to be vigilant and investigative to keep up on the latest products and the quality they offer. This is why simple to install products like the Garage Door Beacon, that are hardwired to your existing power supply, offer a quality access control solution that is long lasting, sheltered from the elements, easy to setup and install and best of all intrinsically native to operate. With smartphone apps in both Apple and Google app stores, this is almost a no-brainer for anyone who owns a home with an automatic garage door and/or a modern smartphone. Sales of this product are off the charts. Thanks to a more favorable exchange rate and lower fuel costs, we have reduced the cost of this sought after product to only $95.00 plus shipping. We are only stocking the Satin Nickel (pearl) color option at this special price. This modification will allow for Schlage SC1 keyed cylinders to be used as an option and consequently many other brands of similar keyways. 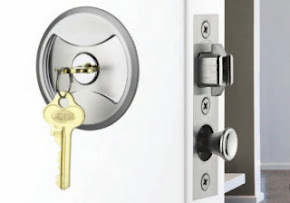 This will allow for keying alike with many existing key systems in the marketplace and also 6 pin cylinders (enabling the product to operate on high-security and design protected master key system key profiles). Click on the picture to the left to purchase. 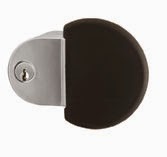 We will be displaying these locks at the upcoming SOPL Expo in Indiana in May. 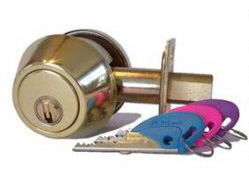 We will also encourage attendees to learn to disassemble and reassemble a similar lock. Pretty much all of the unique Meroni handlesets are assembled similarly. The installation will show the handle fitted to a standard 1-3/4" (40mm) crossbore hole. The standard crossbore hole dimensions found across North America is 2-1/8" (52mm). 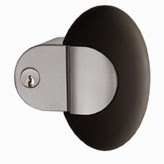 To compensate, we recommend including your choice of metal or nylon rose escutcheons. 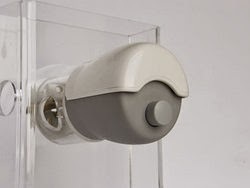 The white nylon guide that the technician screws into the body of the hardware, prior to installation, is there to assist the installer to hold the product to the door (without requiring 3 hands). The color ranges are fabulous in all 4 styles. These make the perfect addition to an interior designers repertoire. Combine the modern style handlesets with their simplistic approach to use, being especially useful for arthritis or other physically challenged users, make these fine Italian designed and produced handles a much sought after commodity. Meroni are currently seeing a large comeback to the North American market, with discerning customers from British Columbia to Florida, from California to Michigan, from New York City to Pasadena selecting the range for their upmarket homes and residences. Meroni's range of furniture locks, hinges, door closers and unique security products are almost unrivalled in the cabinet making industry and are held as the standard by which many "other" manufacturers choose to model their product offering on.